A cat! A hat! A kaboodle! Nope! 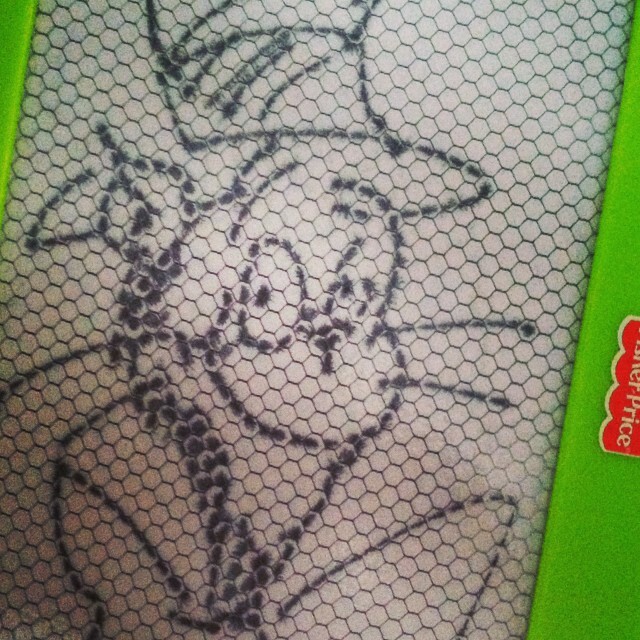 It’s just me…scribbling…on my son’s Magna-doodle! I know that these days, many people associate Memorial Day as ‘the unofficial start to summer’ or a ‘long weekend’ to barbecue, travel or get together with family and friends. None of those are inaccurate ways to spend the day. Heck, we took advantage of nice weather and worked on our garden. Just make sure while we enjoy having fun with loved ones, to take a moment and remember those who helped make it possible for us to do that. Those who have fought, who have passed and who have fallen. Regardless of your politics, leanings or beliefs, it’s not a day about sides. It’s about people. People who put everything on the line and in some cases gave it all, for others. It’s a time to say thank you and to remember that. I’ve often talked about my fascination with the WWII era, as well as my love of pop culture and comics from that time period. 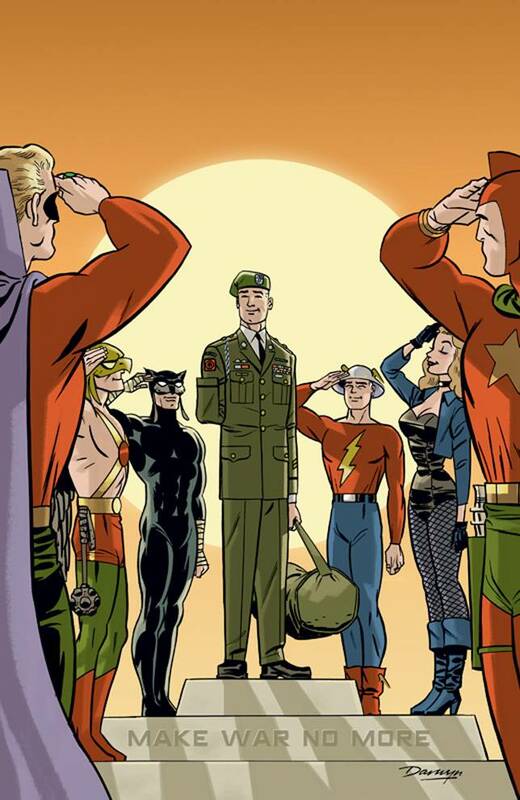 I can’t think of a more suitable depiction for a blog called The Dorky Daddy to symbolize it than with this piece by one of my favorite artists, Darwyn Cooke, and the 1940-era super-hero team The Justice Society, saluting a true hero. My son has a new favorite book, it seems. How can I tell, you ask? 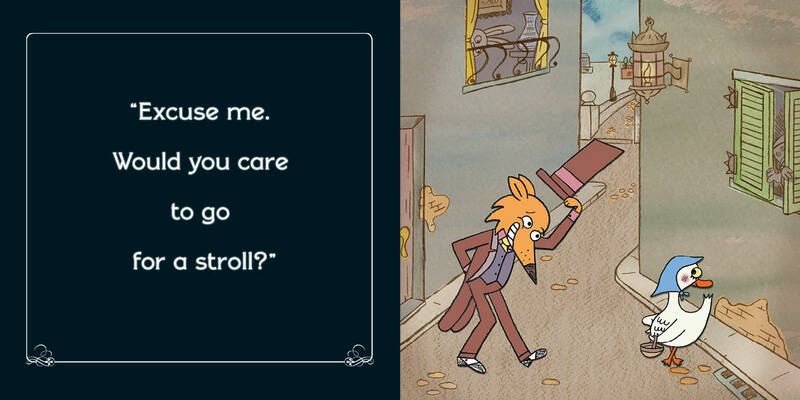 The long and short of it is that what seems like a pretty naive Goose accepts a walk and dinner invitation by a chimney-hatted fox and, as you can guess, what happens along the way is not a good idea. It’s told in a style reminiscent of old silent films, which hits all the right chords with this old film buff. 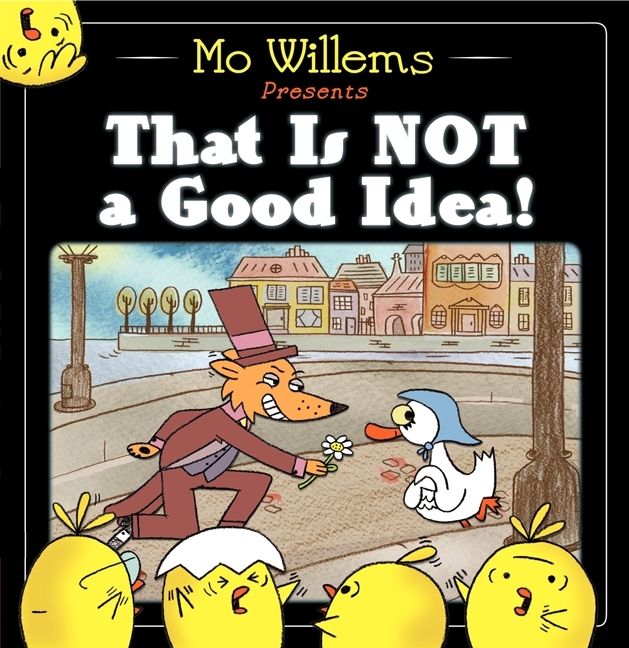 We picked up the book the night I did a Mo Willems storytime at our Barnes and Noble last Spring and it had only come out occasionally, amid some other Willems books like Pigeon or Elephant and Piggie, and a host of other books on the shelf. As of late, though we’ve read “That is Not a Good Idea” roughly 3-4 times on any given day. Whether it’s bedtime (which he sometimes wants a repeat reading), midday, pre-naptime or when he wakes up, we have gotten to know The Fox, The Goose, and that silent-film style world very well as of late. Not that I mind. I love the book too. And at this point, I think I’ve got all our voices down, and have started doing a little bit at the beginning for the title page, where I tell him to ‘start the movie projector’ and we both crank our hands as if starting an old film, accompanied by some noises for the old piano-style intro music. It’s fun, it’s a breeze to read, it’s incredibly entertaining both in writing and illustrations, so it’s a blast for both of us to read. It’s just fun to see where his tastes go and when, as this adventure continues. With that said, and in all fairness, I thought I should at least give a shout out to the few comic books that I do love to purchase and read, notably because they hold a connection to all the timeless features of comics and characters from my childhood. 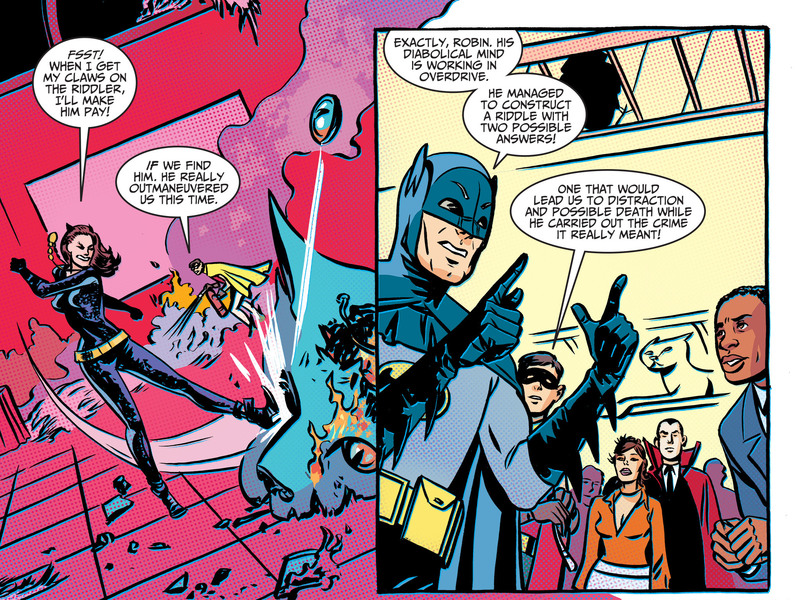 Batman ’66 – I’m glad to see the Adam West and Burt Ward era of Batman finally getting a little well-deserved respect. For the longest time, artists, writers, filmmakers, comic readers – they all cringed at the mere mention of the 1966 Batman TV series. I have some friends that still do. But you know what? THEY didn’t make Batman lighthearted, they merely reflected (and accurately, I might add) the Batman comic books of the time period. And catching reruns as a kid (when the Michael Keaton film was coming out, so reruns were everywhere) I loved it. I still do. Every month I get a comic I can pick up and count on to deliver some whiz-bang-pow fun with very colorful villains just as I remember them. 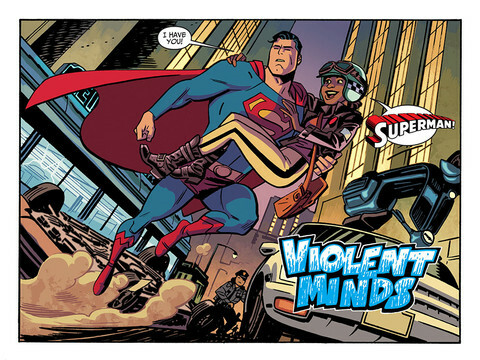 It tells great, done-in-one-issue stories that are like they walked right out of the 60s. It’s a wonderful throwback to simpler times of comic books. I even submitted a proposal for a Batman ’66 story I wrote myself featuring Louie the Lilac and The Minstrel, but alas, any comic with “Bat” in the title these days is big business and small writers like myself are usually not let into the club. Thus, I will continue merely as an entertained reader. Adventures of Superman – It’s true when I say they just don’t publish Superman comics like they used to. As I’ve mentioned in my lament about comics these days trying to be more evergreen and ready to launch into movies and TV shows, everyone is young, unattached, with very little history to draw upon. This book, however, is different. And that’s just why I love it. It’s classic Superman. The Superman we all know, whether we watched George Reeves, Christopher Reeve, Dean Cain, Tom Welling, or just Supes cartoons, you can pick up this anthology, with anywhere from 1-3 stories per issue, and just get classic tales of Superman, the way we all remember him in our memories. 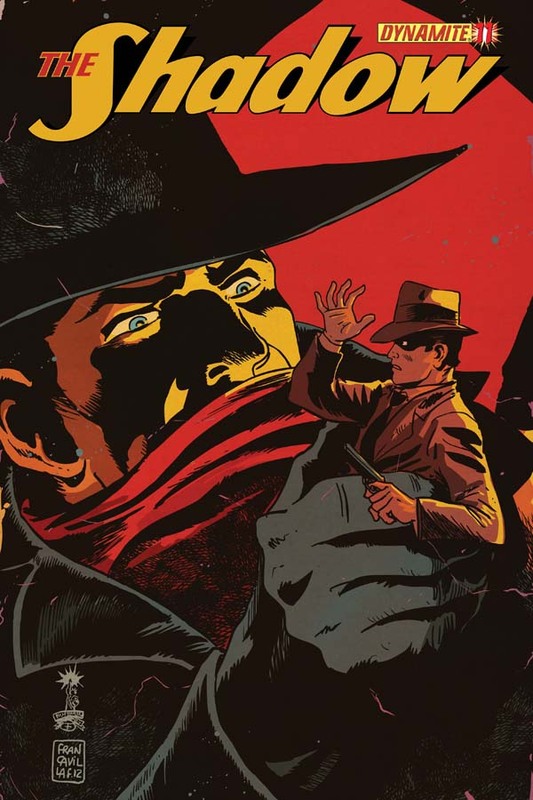 The Shadow – I’ve long been a fan of The Shadow in his radio show format, sitting in the backseat of my parents minivan listening to cassette tapes of shows from the 1930s and 40s on long trips. I remember the first time I heard that catchphrase “Who Knows What Evil….Lurks in the Hearts of Men?” or that sinister laugh. I was hooked. Still am. While the first few issues of this new comic series were more bloody than I would like (I prefer my Shadow a bit more cerebral, like the Orson Welles-era radio plays), the fact that the series keeps itself set in the 1930s is enough to keep me reading. Another side note on my writing career – I also sent a proposal pitch to Dynamite Entertainment for a Shadow: Classics series, which would adapt some of the old radio scripts to comic form. Alas, once again, it went unanswered. Maybe someone else will pick up on it and do it. Heck, I’d just like to read it. 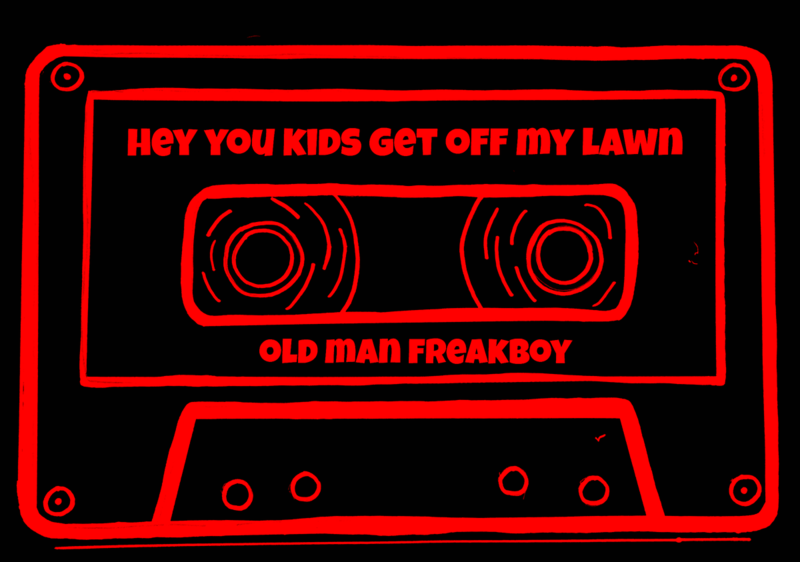 Some of those old radio plays were downright eerie. Life with Archie – I was never a regular reader of Archie growing up, but sporadically, as a kid, I’d pick up an issue to see what that red-headed ladies’ man was up to. This book intrigued me when I came across it in the grocery store because it’s Archie and his pals all grown up. On top of that, each book is actually two books. 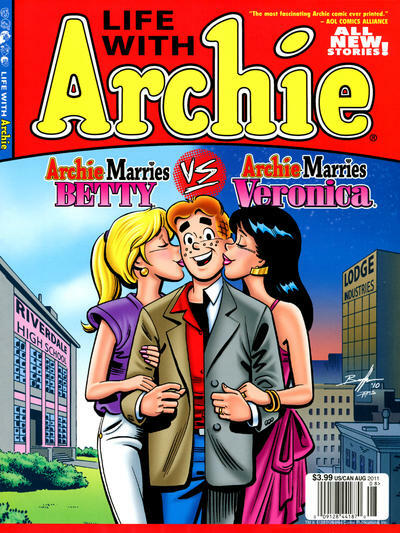 You get one story set in a hypothetical universe where Archie has married Betty and another set in a world where Archie has married Veronica. Yes, Archie apparently gets to have his cake and eat it too. Either way, he and the gang deal with very adult issues and problems and I love seeing the chances taken by placing these characters in a new, grown-up environment. So, there you have it. What my comic reading is up to these days. 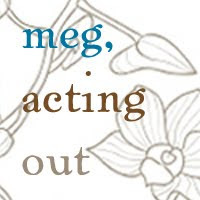 In between these occasional reads, I’ll usually try to sneak in a novel or non-fiction book here and there, or an old comic hardcover or collected edition off my bookshelf, something from the past that I know I enjoyed and will continue to love. If you have yet to see this movie, and you want to believe that human beings can be good, decent people, please do so. Don’t bother with made-for-tv versions or theatrical remakes years later. Go for the real deal. Edmund Gwenn, Maureen O’Hara, John Payne and Natalie Wood. If you’re unfamiliar, I’ll give you the gist – a white-bearded, jovial man who happens to be in the right place at the right time, is a last-minute replacement for a drunken Santa at the Macy’s Thanksgiving Day Parade. He’s such a hit, he’s hired to be the department store Santa. So ‘goodwilled’ is he, that when Macy’s doesn’t have the toys kids are looking for, he sends them to rival department stores. The head of Macy’s loves it and instructs all employees to recommend other stores that carry products they’re out of. It’s the goodwill gesture and PR event of the century. Other stores jump on board and commercialism seems to be thrown out the window. Until a grumpy store psychiatrist doesn’t care for Kris Kringle and pushes to have him committed on the grounds that if he claims to be Santa, he must be insane. 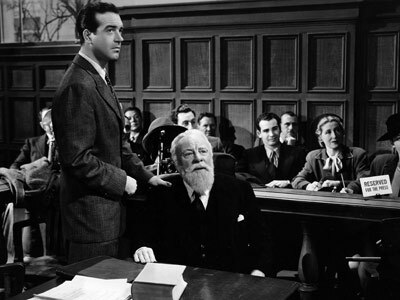 A hearing and then a trial ensues, where a plucky young lawyer sets out to prove the impossible, that the man in court is in fact, the one and only Santa Claus. He does so too, in a wonderful, spectacular way. The court wants proof from a ‘recognized authority’ that this man is Santa? Well, leave it to a disgruntled postal employee to set the wheels in motion. The Santa trial is making headlines and with lots of letters to Santa needing somewhere to go, the postal service has them all delivered to the NYC-based courthouse where the trial is being held. The U.S. Postal Service – a recognized government entity, therefore acknowledges (as it is a crime to willfully misdirect mail) that the man in the courtroom receiving those letters is Santa Claus. How can the county court disagree with that? 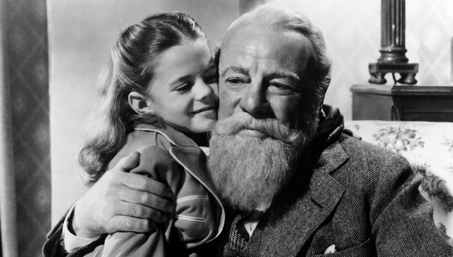 It’s a spectacular and charming scene and every single time it happens, every time the case is dismissed, and young, cynical little Susan believes, it just give me reason not only to believe in the spirit of old St. Nick, but in how good people can be. It’s the type of movie I can’t wait to show my son one day. I look forward to watching each year, and sometimes, a few times during the year. Not because of Christmas (in fact, it was originally released to theaters in the summer! ), but because it’s about hope, about believing. Forget the presents, forget church and religion. For me, that is what the entire season is about – believing in the goodness of people, believing and hoping for a better world, where people treat and help each other all year-long like they show they can during those few weeks of the holidays. I’m a sentimental sap, I know. But hey, it keeps me believing. And I’m 33.